A new and very unique cycling helmet has launched on the Indiegogo crowd funding website this week in the form of the LifeBEAM cycling helmet which has been designed to monitor your heart rate, and performance as you cycle. The LifeBEAM cycling helmet is the world’s first smart cycling helmet with an integrated heart rate sensor, and is equipped with a state-of-the-art optical physiological sensor, accelerometer, and wireless communication. Watch the video after the jump to see it in action. 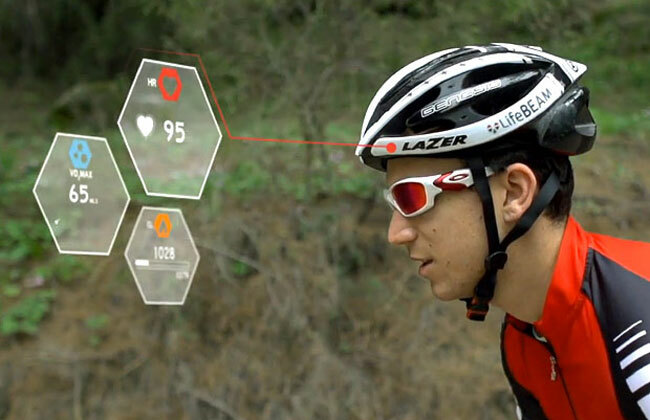 “We integrated our unique sensor & algorithms, originally developed for fighter pilots & astronauts, into the Lazer’s GENESIS helmet resulting in the SMART – a cycling helmet that provides highly accurate, real time measurements of heart rate under normal as well as extreme physiological conditions without the problems inherent to chest straps. The LifeBEAM cycling helmet project is currently over on the Indiegogo website looking to raise enough pledges to make the jump from concept to production. So if you think LifeBEAM is something you could benefit from, visit the Kickstarter website now to make a pledge and help LifeBEAM become a reality.